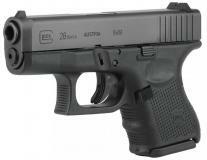 The Glock 26 G4 9mm Bodyguard is similar in size and weight to the small frame .38 snubnose revolver. The G26 fires the powerful 9mm cartridge while possessing 11 rounds, that is the combined capacity of a 6-shot Detective Special and a 5-shot Chiefs Special, with much less recoil and more deliverable accuracy at a faster rate of fire. 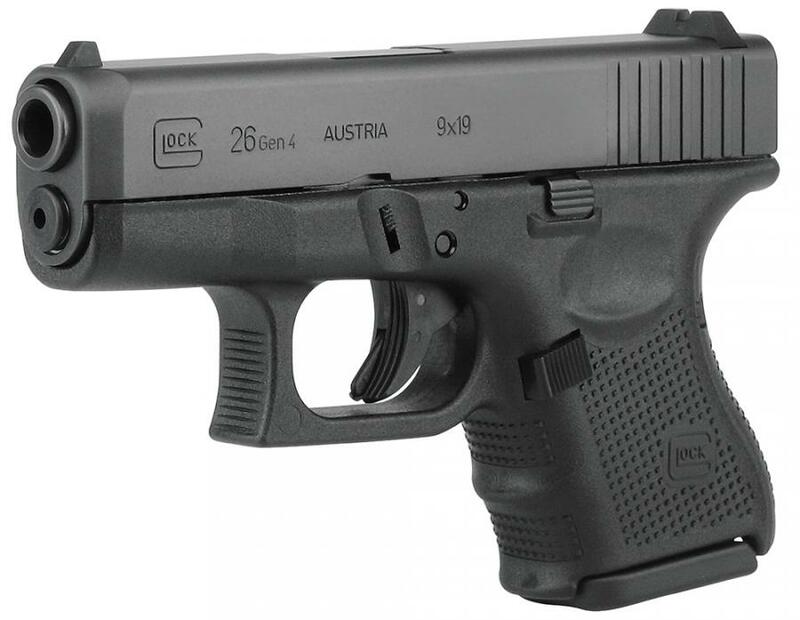 The 4th Generation of the Glock Safe Action Pistol brings revolutionary design changes to the world's most popular pistol. Externally, what is immediately apparent is the multiple back strap design of the frame, which can be instantly adapted to small, standard and large frame hands. 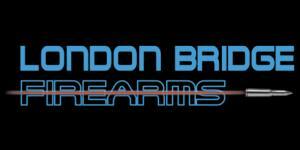 The surface of the frame is the Gen4 Rough Textured frame scientifically designed, real world tested, Internally, the Gen4 Glock dual recoil spring assembly substantially increases the life of the system. A reversible magazine catch, changeable in seconds, accommodated left or right handed operators.